Since I'm not working yet (some training tonight and first shift next Thursday), I've been taking the time to get to know the city I'll call home for the next several months. Every city has its iconic places that are must-sees. New York has Times Square, the Empire State Building and the Statue of Liberty. Paris has the Eiffel Tower and the Arc de Triomphe. 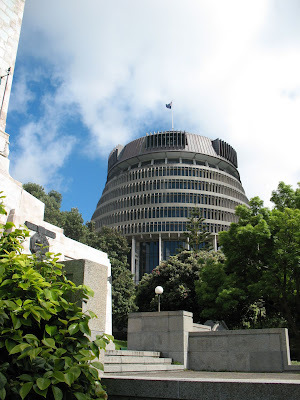 Being the capital of the country, Wellington hosts New Zealand's parliamentary offices. Are the prime minister and her cabinet set up in some grand building of marble and towering pillars? Nope. They're in a Beehive. 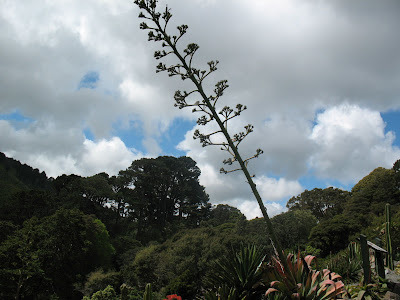 Wellington is only half the size of Omaha, yet it feels at least twice as big. The downtown area is a buzzing place. 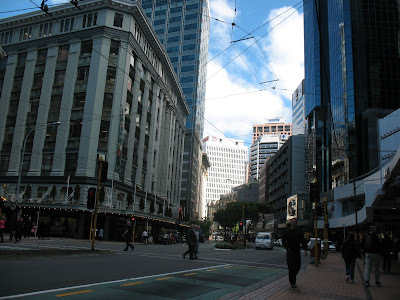 Lambton Quay (say "key") is the heart of the downtown area. 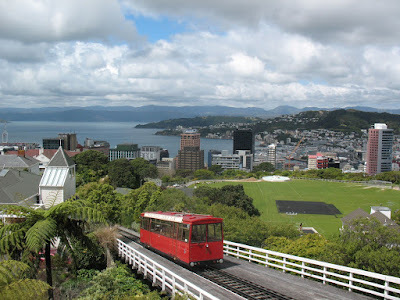 If you want to get out of the concrete jungle, Wellington's got a great option. The city's cable car has been hauling people up the hill since the early 1900s. 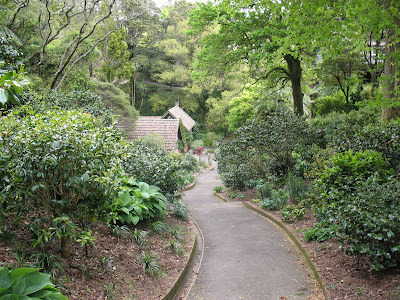 At the top station is the city's botanical gardens. 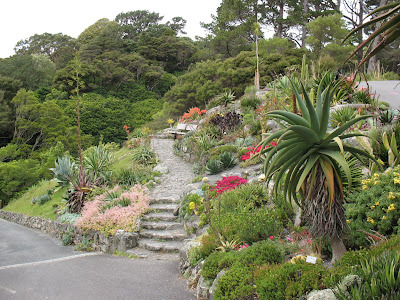 They make Omaha's garden look like an amateur's backyard. So that's a glace at some of Wellington's important features. You'll hear plenty more from me on this awesome city over the next several months...but I won't let it get boring, I promise. Next week, I'll give you a glimpse at the odd things that Kiwis tend to find fashionable. Let's just say some of them seem to be stuck in the US in the late 80s/early 90s. Full House, anyone? Don't knock Omaha's Botanical Gardens, I do believe you've consumed a significant number of libations there!! !